They look awkward in ANY perspective. Also this scene is pretty intense. Why run, especially if Roodaka's shooting at you? Iruini can teleport so teleport away. Norik can shrink so the Rhotuka will fly right over him and miss. Hoboy, time to hunt for some panels. 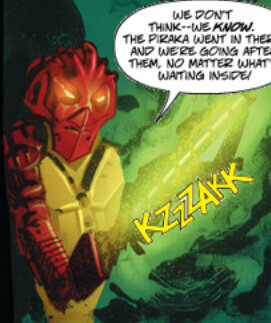 I think Jaller attempted to become a Toa Mata (just look at the arm and hand) and dislocated his shoulder in the process. I don't even know what's happening here. The perspective is so wonky I can barely tell what Hewkii's doing. One of my favorite panels, I added appropriate dialogue. 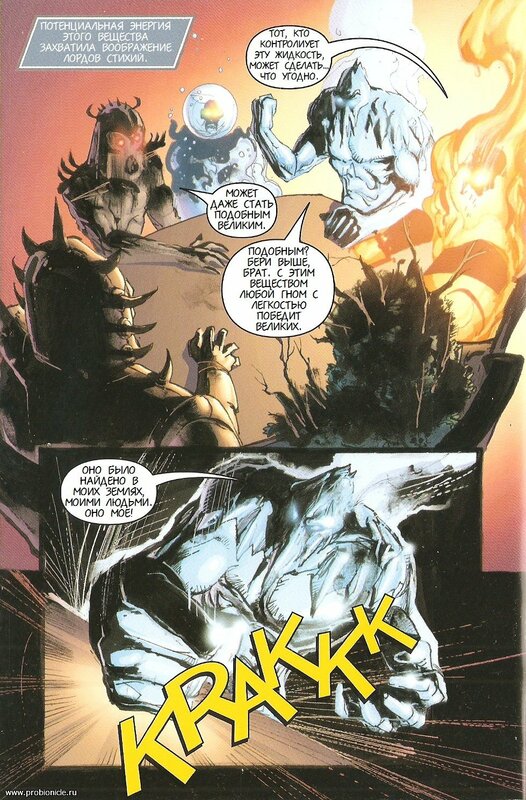 I love how Cthulhu Ice Lord has his fist in the air, ready to pound it down. And the retconned existence of the Earth Lord means that she's standing off to the side somewhere, silently pulling the strings. Hewkii's one liner and ghost/bodiless Gadunka. Did the artist just low-key diss Kongu Mahri's mask design...? He should've made Kongu say that about Hewkii. At least he didn't replace his hand with a gun and has a mask wider than Brutaka's, and he had two guns. 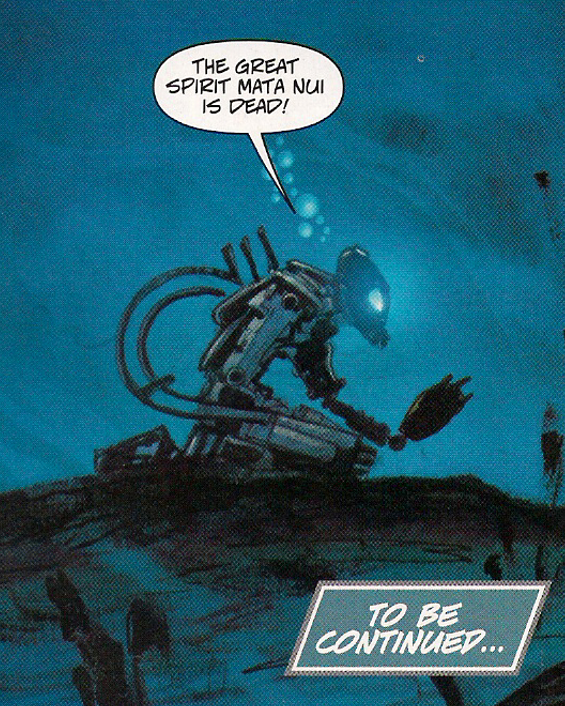 I have always had an unhealthy hatred of this panel from comic #2 of the 2001 arc...just look at Matau. Did they just draw him to big, or color him wrong, or what?!? It looks really bad! Derp! Guess I really spaced out when I posted that! Thanks for the correction! Who cares? Look at dem CHEEKS! Did Kopaka's head just shrink? 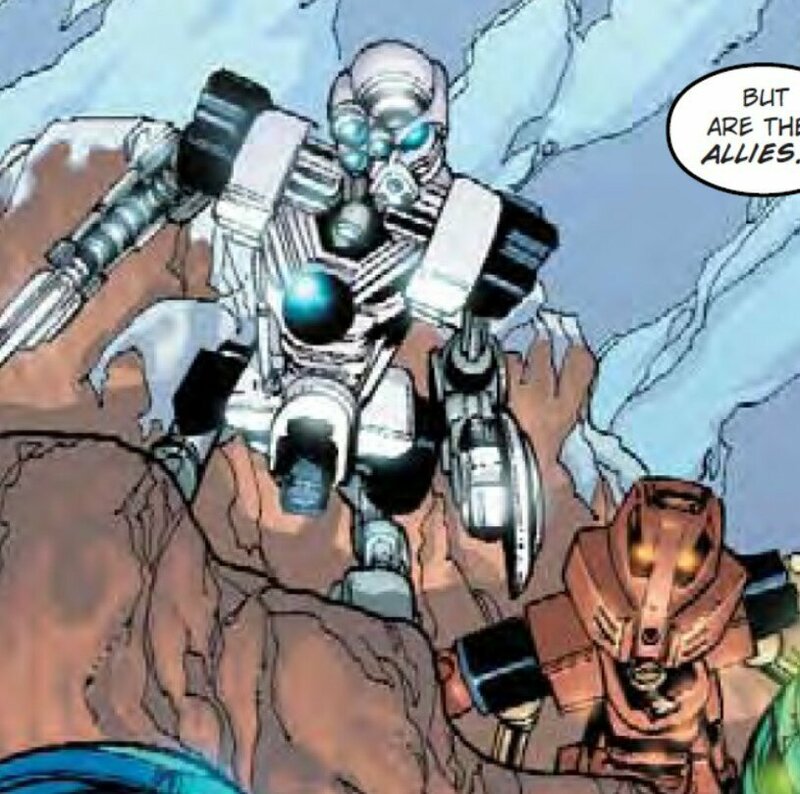 Look at Whenua! He's so smol it's adorable!